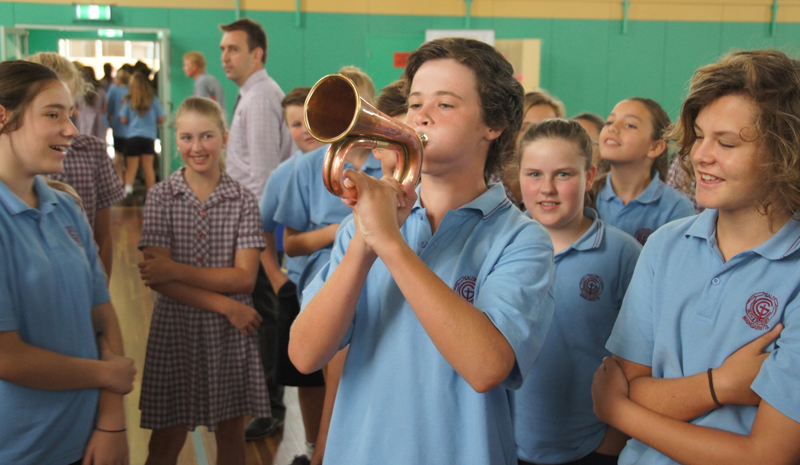 On Thursday 26th February our Year 7 students had the opportunity to witness the ANZAC Centenary Roadshow, a travelling multimedia performance funded by the Victorian Government to commemorate the 100th Anniversary of the Gallipoli landings. 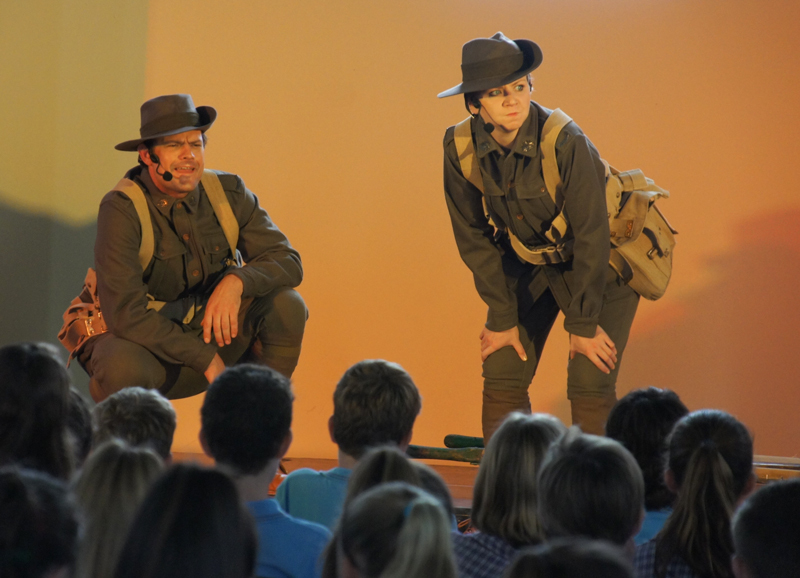 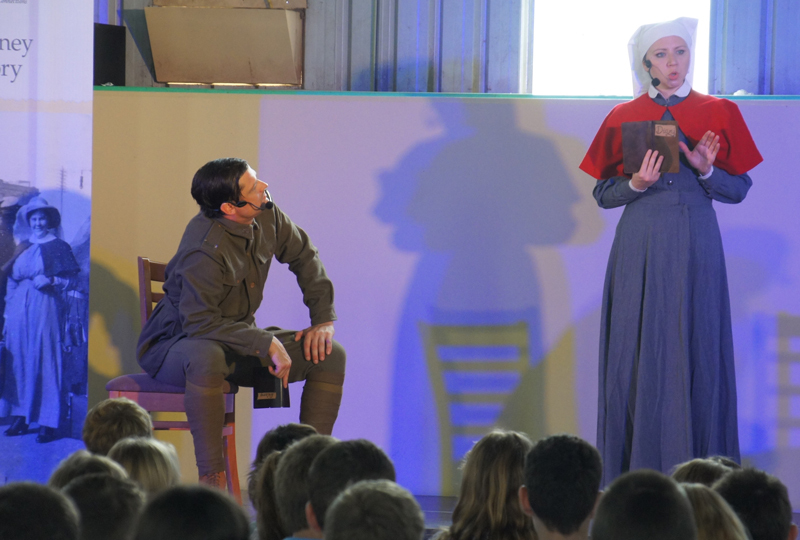 This performance also included actors who brought to life the emotional departures, the horrors of the trenches, the letters and diaries of the servicemen and women and life at home. 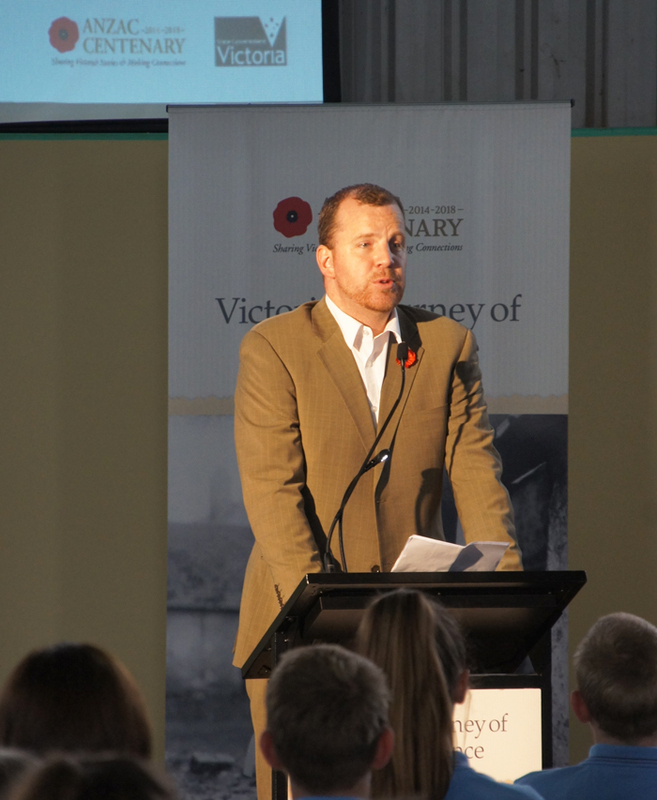 Mr Arthur Bretherton OAM also addressed the students reminding them of the local impact of WW1 and the importance of commemorating the service of our brave men and women. 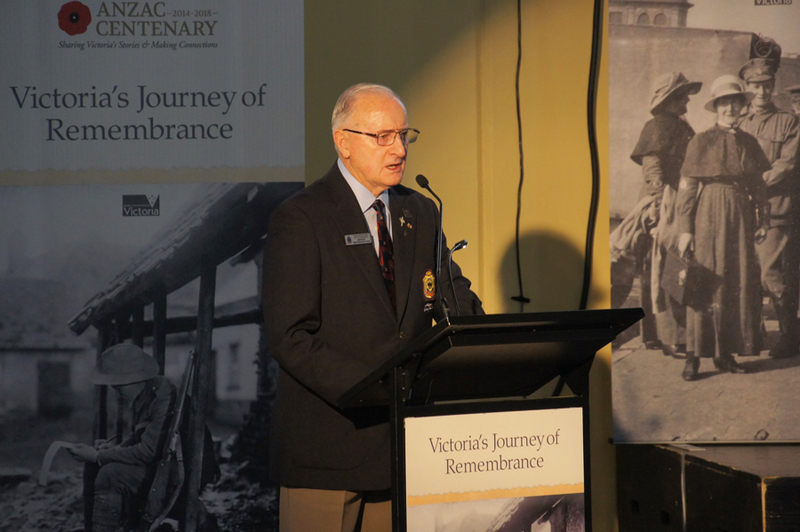 Each of the students present received a commemorative pack that included a medal and information and educational resources and were encouraged to attend local ANZAC Services on the 25th April but to also take some time to explore their own family history of personal WW1 stories.